Concept art from Avengers: Infinity War features Spider-Man and Doctor Strange fighting the Outriders. One of the biggest points of emphasis for Infinity War was the movie’s ability to include crossovers for MCU heroes like never before. 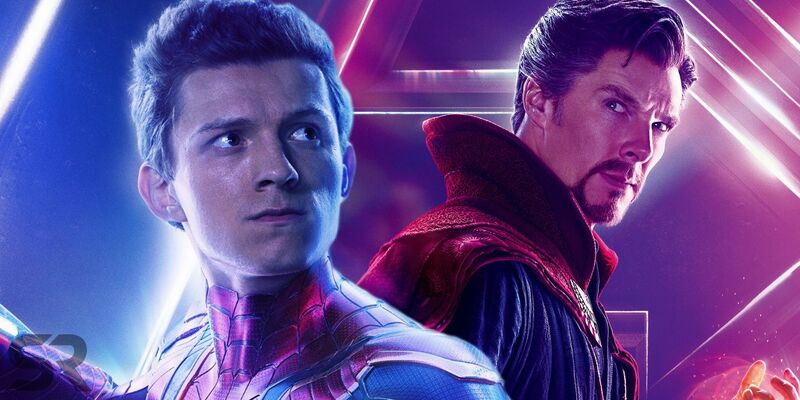 This brought New York heroes Spider-Man and Doctor Strange together for the first time on screen. In Avengers: Infinity War, Peter Parker (Tom Holland) and Doctor Strange (Benedict Cumberbatch) first meet on the Q-Ship while it’s en route to Titan. Thanks to Peter’s general knowledge of ’80s movies, he’s instrumental in freeing Strange from Ebony Maw’s clutches – and ultimately finishing off Maw entirely – prompting the first official introduction between the two characters. However, early concept art reveals that the two characters nearly met earlier on in film, back on their home turf in New York City. And, instead of facing off solely against Maw, they would have done battle against the Outriders. According to early concept art in Marvel’s Avengers: Infinity War — The Art of the Movie, the Outriders were initially going to be involved in the early New York City attack. The art from Karla Ortiz features Doctor Strange unconscious and wrapped up in Spider-Man’s webbing while Peter attempts to carry Strange to safety. With six Outriders attacking him, as well as others in pursuit, fleeing appears to be nearly impossible. Based on this concept art, it appears as though the Outriders were initially being considered to have a larger presence in Avengers: Infinity War, as opposed to merely showing up during the Battle of Wakanda. This new concept art also indicates the possibility that smaller groups of Outriders may have been given to the Children of Thanos. Ebony Maw and Cull Obsidian would have been able to bring the creatures to New York City in order to acquire the Time Stone, while Proxima Midnight and Corvus Glaive may have taken some to Edinburgh while attempting to acquire the Mind Stone from Vision in an alternate script. So, if this approach was considered at one point for Avengers: Infinity War, why was it ultimately scrapped in the final draft? The simplest explanation could simply argue in favor of a “less is more” approach. On top of Ebony Maw and Obsidian, adding Outriders to the city for Iron Man, Doctor Strange, Wong, and Spider-Man to fight may have been overkill, while waiting until the finale offers a more satisfying third act reveal. Plus, there’s always a chance that Spider-Man will get the chance to battle them in Avengers 4.